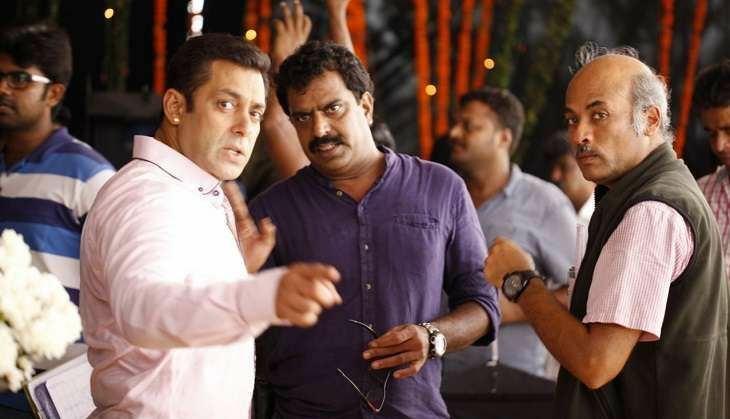 Home » Bollywood News » Sooraj Barjatya's next with Salman Khan is a musical! Sooraj Barjatya's next with Salman Khan is a musical! After the release of Prem Ratan Dhan Payo, Sooraj Barjatya revealed that he is not too keen to work with other two Khans i.e. Shah Rukh and Aamir and he would always want to make a film with Salman Khan. Despite being a hit, Prem Ratan Dhan Payo failed to live onto the massive hype and expectations. After getting done with his television commitments, Barjatya will start working on the script of his next film that is a musical love story. "Well, there is something on my mind, let me put it on papers first. But it is surely going to be an entertainer. It is going to be a musical." Salman and Sooraj have worked together in Maine Pyaar Kiya, Hum Aapke Hai Koun, Hum Saath Saath Hai and Prem Ratan Dhan Payo.